When it comes to sewing by hand and doing hand embroidery, tying knots is essential stuff! Usually, though, when I’m doing embroidery, I don’t dip the needle into the fabric like it shows in the video; instead, I dip the needle into a stitch that’s on the underside of the design… then I make my knot. It works the same way though, generally. I’ve been making little embroidery tutorials in anticipation of my upcoming windmill pincushion tutorial and free pattern. If you don’t have any idea what I’m talking about, please go back to yesterday’s blog post and view the video. You’ll see some pictures of that upcoming sewing project. However she was notoriously noisy when I tried to film my videos back in those days. (This video is a re-post of an older video.) I’m terribly sorry about that squawking noise in the background. In spite of my noisy parrot, if you like my patterns and videos, please show your appreciation by liking, pinning, tweeting, and/or somehow sharing this video with others. 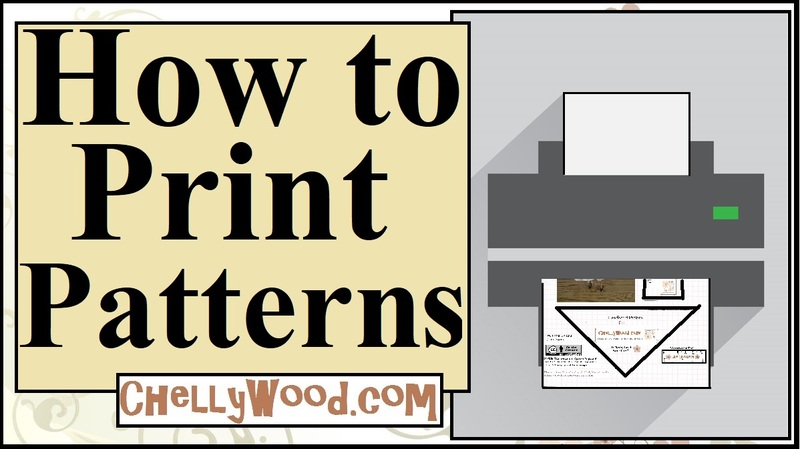 All of my patterns are free to print, and if you’re wondering why I offer so many great patterns and tutorials for free, please visit this page. Next Next post: #Sew shorts for 18-inch dolls with ChellyWood.com’s free #sewing #patterns!